Mix up your game night this year with the newest, coolest game in stores called DropMix. 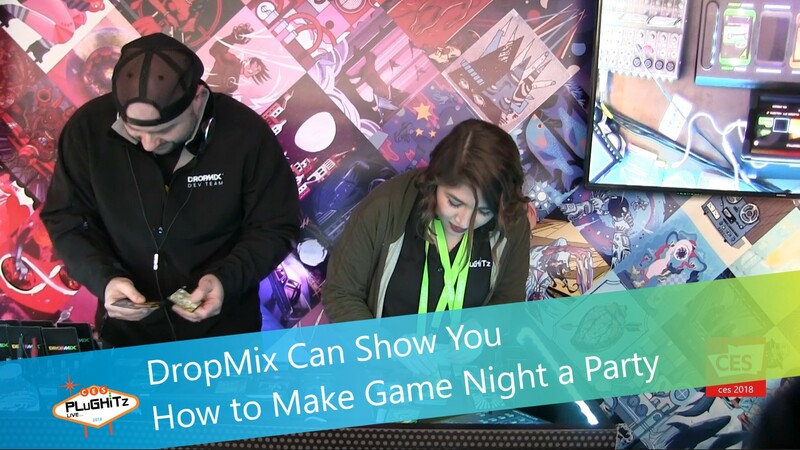 DropMix is a music mixing game created by a partnership between Hasbro and Harmonix. The game comes with 60 music cards and the DropMix board that can Bluetooth connect to your device with the DropMix app. Each card has a large name artist and song that you have probably heard on the radio, but it may only be a portion of the song such as just the vocals, base line, drum line or strings. You can play the game by placing one of these cards on the DropMix board and the music is instantly playing through your connected device. Add other music cards to create a unique mix where the game automatically sets the tempo and the key that makes the songs work cohesively. There are 3 game modes incorporated through the application. The Freestyle game mode allows players to create the sounds they want by navigating through their cards to find the mix that makes them want to dance. Players then have the ability to save their mixes and share them with their friends. The second game mode is Clash. This mode is a strategic game that can be one-on-one or two-on-two with a race to 21 points. Then there is Party mode, the fast-paced game that has everyone working together against the computer. The app will throw out quick challenges that require the players to be able to work together in a small amount of time to get the most points they can. Get DropMix today for $99.99 and check out some of their latest expansion packs. The 16 card expansion is $14.99 and the 5 card Discover Pack is $4.99.